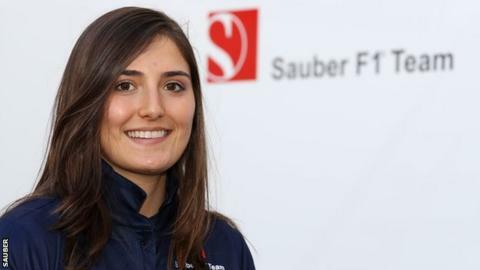 Colombian Tatiana Calderon is to continue as Alfa Romeo's test driver for a second season in 2019. The 25-year-old first drove the former Sauber team's F1 car in Mexico City last year, before a second run at Ferrari's Fiorano track in Italy. Calderon said she was "extremely happy" she would be doing further mileage in an F1 car this year. Team boss Frederic Vasseur said: "The team is impressed by Tatiana's commitment, persistence and skill."